February | 2017 | Home Wise! Family Smart! The March 2017 Issue of the NEBLINE is on-line! The March issue of the free NEBLINE Newsletter is on-line. Visit http://lancaster.unl.edu/nebline. Sorting Food Facts and Myths: Do Foods Labeled as “Natural” Deliver on Your Expectations? 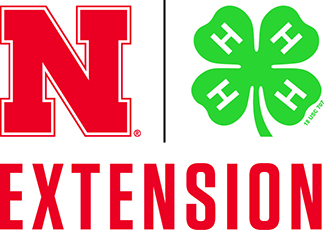 It’s Time to Re-Enroll in 4-H! Another common pantry pest of homes are flour beetles. Flour beetles are very common in homes. They can fly in from outdoors or be brought into the home on infested products from the grocery store. There are two flour beetles that have similar biology, behaviors, lifecycle and feeding habits, the red and confused flour beetles. The red flour beetle has a three-segmented club, and the confused beetle does not. This difference though slight, provides an important difference when dealing with origin of the infestation because the red flour beetle is a flier and the confused flour beetle is not capable of flight. Red flour beetle has a three-segmented club. Photo by Jody Green, Nebraska Extension in Lancaster County. Adult flour beetles are approximately 1/8 inch long and reddish-brown in color. The larvae are creamy to yellow-brown, with light hairs and pointed projections on the last segment. Before pupation, mature larvae are about 1/4 inch long. All life stages can be found in large numbers feeding on broken kernels and other grain products. Flour beetle larvae. Photo by Jody Green, Nebraska Extension in Lancaster County. 1) Adult beetles flying around inside the house. They are attracted to light and may accumulate along the window sills. 2) Larvae and adults can be found together in the same food products that contain flour and grain products. Red flour beetle adult and larva feeding on dog biscuit. Photo by Jody Green, Nebraska Extension in Lancaster County. Before purchase, check expiration dates for old products that have been on the shelves for a long period of time. Be extra cautious buying plenty of heavily discounted products on clearance. Avoid buying in bulk and storing large quantities of products in the pantry. Store products in air-tight, transparent, insect-proof containers. Use the oldest products first to ensure freshness and proper stock rotation. Store infrequently used dry ingredients in the freezer. Clean up spills and crumbs in food storage areas so not to attract pests. Vacuum cracks and crevices where insects can hide and grains can accumulate. Dispose infested foods in trash and put outdoors. Flour beetles are often found devouring old dog biscuits forgotten on high shelves or trapped under furniture. Treatment strategies for red and confused flour beetle do not include insecticide use inside the home. A thorough inspection is necessary to locate and eliminate the source of the infestation for a long term solution. Most people overlook prepackaged and prepared foods, unopened packages and non-food items, but a variety of products are vulnerable. There are pheromone traps available, that will trap beetles in a pitfall trap, but these are preferred as a monitoring tool, rather than a control method. Flour beetles can be a problem that starts at the manufacturing facility like the flour mill. Photo by Jody Green, Nebraska Extension in Lancaster County. Flour beetles can occur year round in heated buildings. Keep your eye on your food and don’t share it with pantry pests. Confessions of an Extension Entomologist: I bake so infrequently, that our flour is stored permanently in air tight containers in the freezer. If I didn’t have this job, I might be a professional pantry specialist. I enjoy organizing other people’s stored food products and finding insect-infested products. Note: Always check the pancake mix. Flour beetles of all life stages and cast skins (exoskeletons) in pancake mix. Photo by Jody Green, Nebraska Extension in Lancaster County. For more information on pests found in and around the home, visit http://lancaster.unl.edu/pest. Current food trends suggest there is confusion about the safety of the food system (production, processing distribution, consumption and waste management) leading to skepticism and decreased consumer confidence in our food supply. Did you know? A food may claim to be “free of hormones” — however, it may never have contained hormones. For example, federal law prohibits the use of hormones in poultry production. Today’s birds are larger due to advances in breeding, animal nutrition and animal care. Likewise, federal law prohibits the use of hormones in pig production. The amount of lean meat produced per pig has increased due to animal selection and nutrition. According to the U.S. Department of Agriculture, “Hormones are not allowed in raising hogs or poultry. Therefore, the claim ‘no hormones added’ cannot be used on the labels of pork or poultry unless it is followed by a statement that says ‘Federal regulations prohibit the use of hormones.’” Be aware, the claim may be in much larger letters than the statement saying the use of hormones is prohibited. Read the entire article and find a recipe for “Berry Good Pancakes” in the February issue of the NEBLINE Newsletter. Available free online.